Athletes get paid millions of dollars to put their bodies on the line every day. Sometimes they aren’t graceful about it. 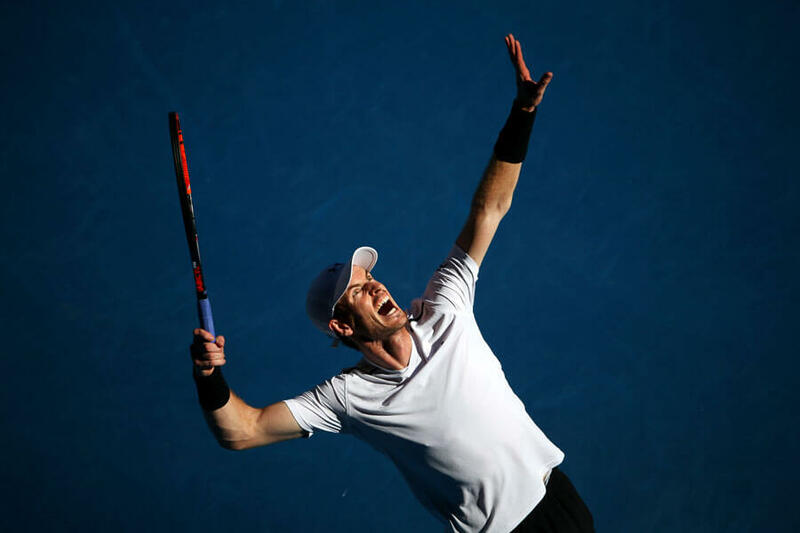 From a grunting tennis superstar to a power hitter swinging and missing, some of sports most ridiculous moments are its best. Here, in no particular order, are the funniest looks athletes have given when trying their best to win! LeBron James coming down from a dunk is priceless! This guy might be an Olympic diver, but he’s always ready to party! One of the first dives anyone learns is the cannonball. Pull your body in tight, become a ball, and make the biggest splash. 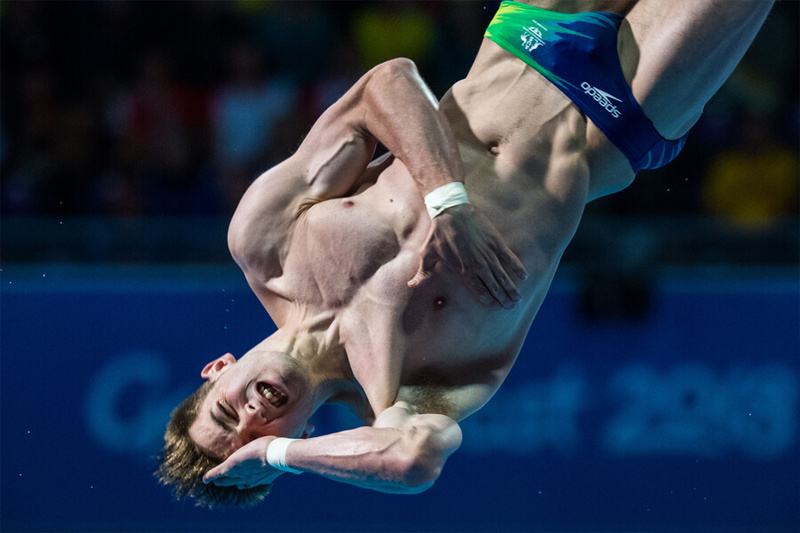 If a cannonball is his dive, he might want to think twice. He’ll get a higher score if he minimizes his splash. Stuck in mid-dive is not the time he wanted to remember he left his oven on. His house is going to be so warm when he gets home…if it’s not burned down. Hopefully, he has good insurance. Things could be worse though, he could messing up his dive. Oh… this is awkward. 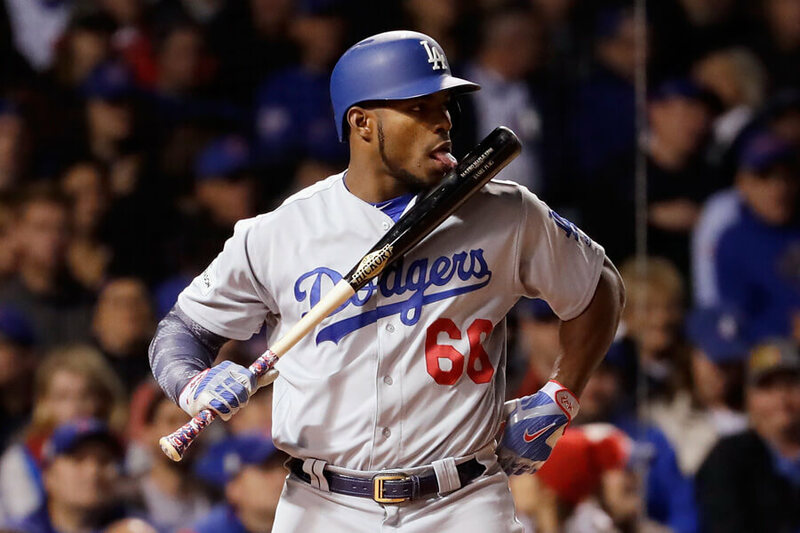 Yasiel Puig was probably trying to intimidate the pitcher here. We hope. If he’s professing his love to his bat, he may have picked the wrong venue. At least he’s confident in his decision. Russell Westbrook isn’t looking very confident in whatever decision he’s making next! 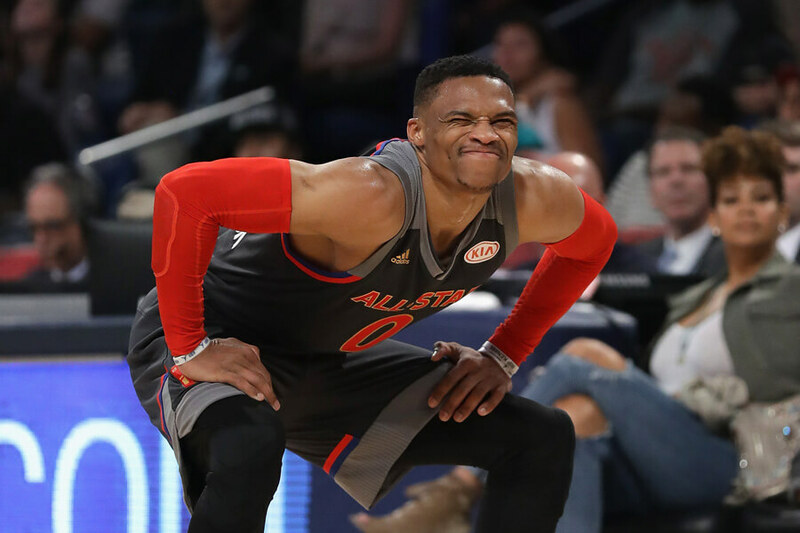 We’re not sure exactly what’s happening with Russell Westbrook here, and we’re not sure we want to find out. With any luck, it was a really bad cramp. It’s not easy being a superstar with… needs. The good news is no one saw. The only thing fans care about at the all-star game is the dunk contest. 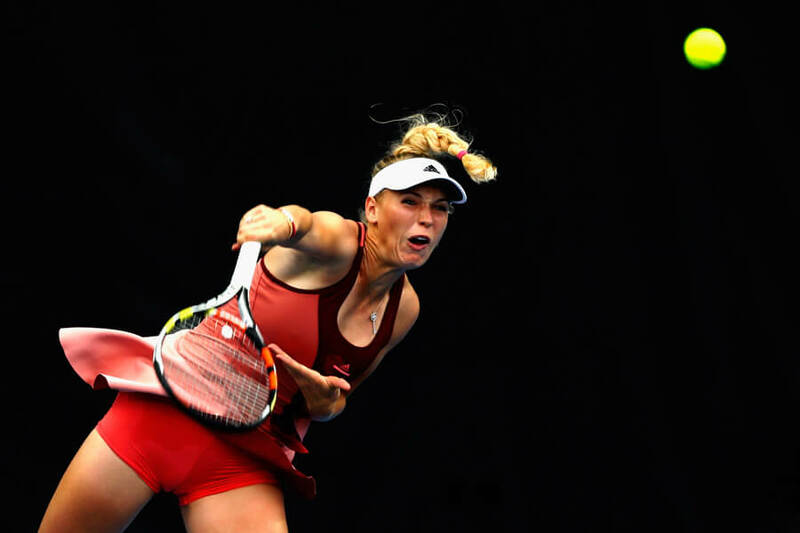 This poor tennis player has no idea where her serve is going after sneezing on her follow through. Will the ball even make it over the net? Probably, she is a professional athlete after all. Whether she hit a fault or not is another question. She sure didn’t ace the serve! LeBron James aced our next look! 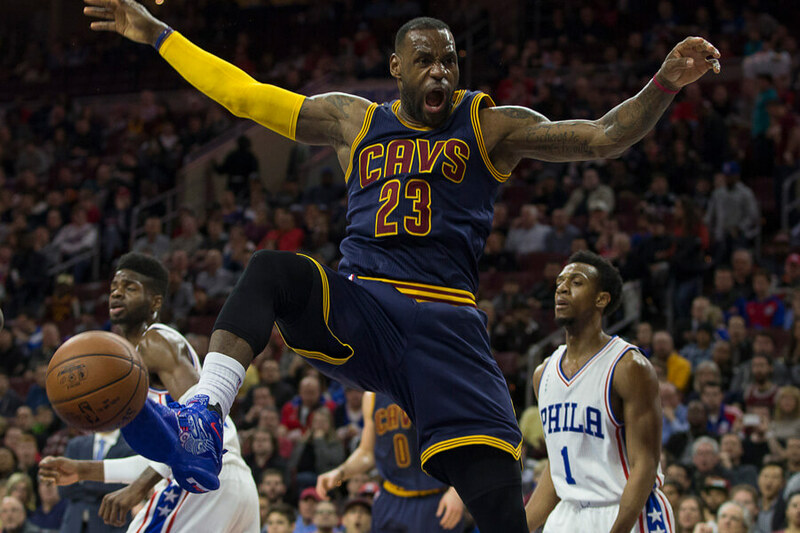 This is LeBron James landing after a slam dunk. The Denzel Washington Training Day impression is spot-on. He’s a little too excited about making someone look like a fool. The other possibility is as he dunked the ball, someone on the Sixers said something he couldn’t believe! Not smart to do against one of the greatest of all-time. Trent Richardson didn’t have the best NFL career. 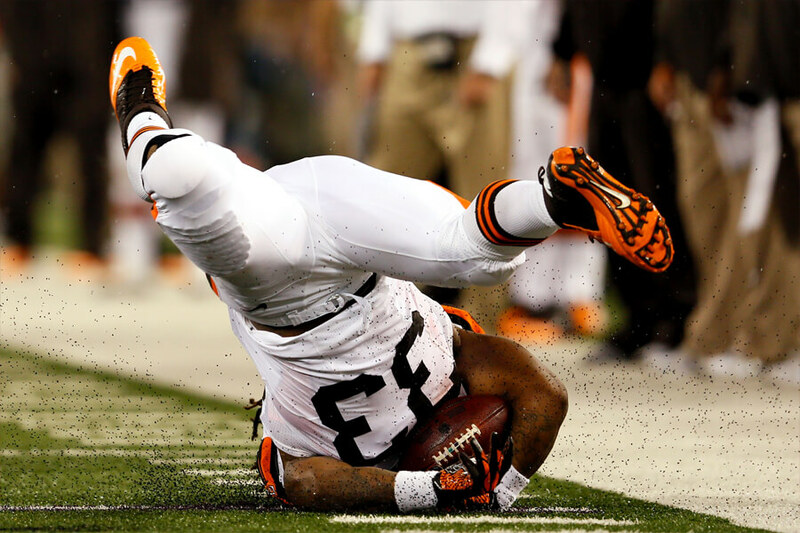 This picture of him falling on his face sums it up perfectly. With no defenders in the picture, it seems he fell on his own. It was the best way to get out of Cleveland. Not that his brief stops in Indianapolis and Oakland went better. The bigger they are, the harder they fall! 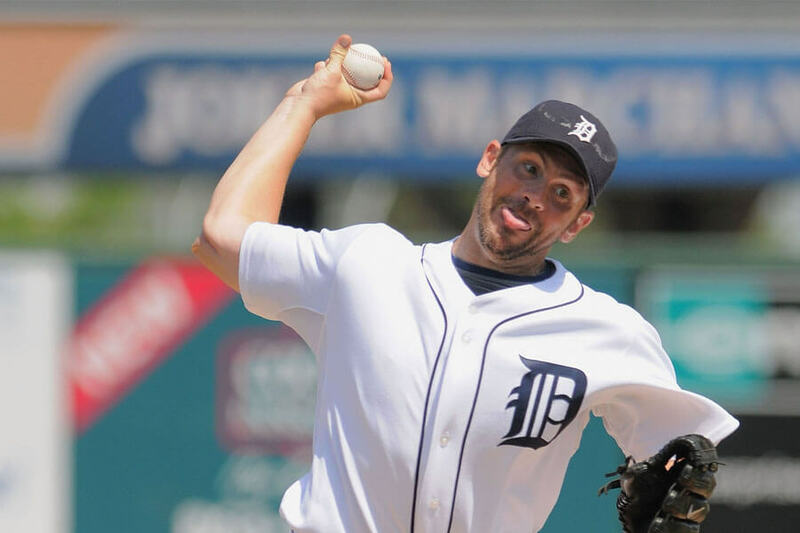 PItching for the Detroit Tigers does some strange things to people. This rotation ace seems to be trying to make the hitter laugh to steal strikes. Mike Trout can’t swing if he’s busy having a giggle fit. Javier Baez tried to swing once. It did not go well. It’s not often a Major League Baseball players swings so hard he lands on his hindquarters. 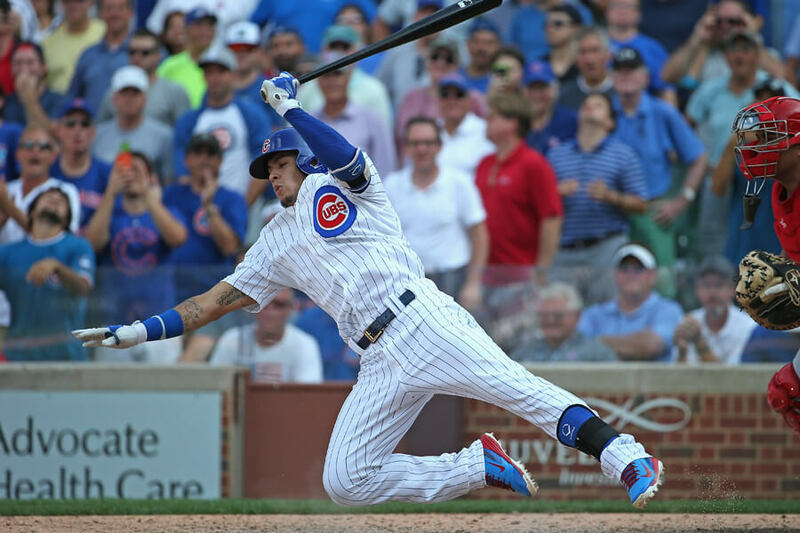 Here we have Chicago Cubs standout Javier Baez putting too much into his swing. It didn’t work out well for him. He needed a little dirt on his pants, though. The dirtier a player is, the more fans know how much he loves the game! Clay Matthews Jr. has long flowing locks, and he wants everyone to know it. 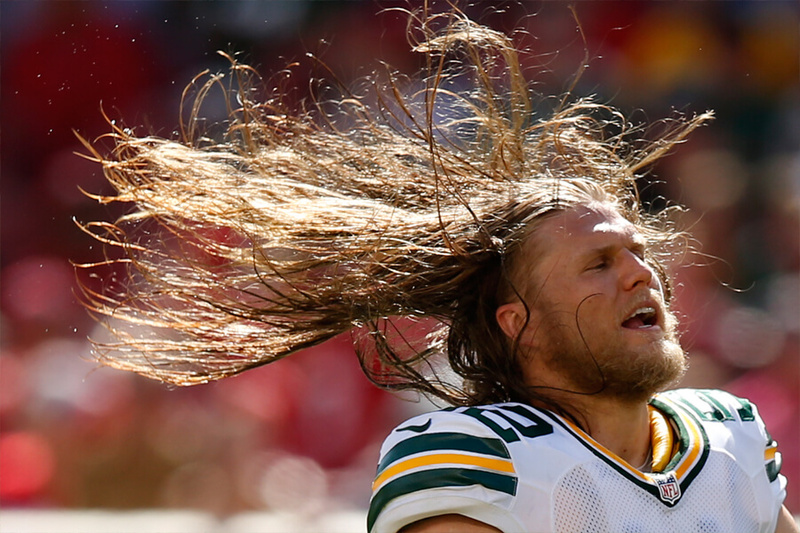 The Green Bay Packers’ all-pro probably got a shampoo sponsorship after whipping his hair back on game day. Matthews sure knows how to enjoy his hair while he has it! It’s okay to be jealous. We know we are. No one wants to head a ball in soccer. On display, it’s clear the poor athlete forced to go up for the ball clenches her face in fear. 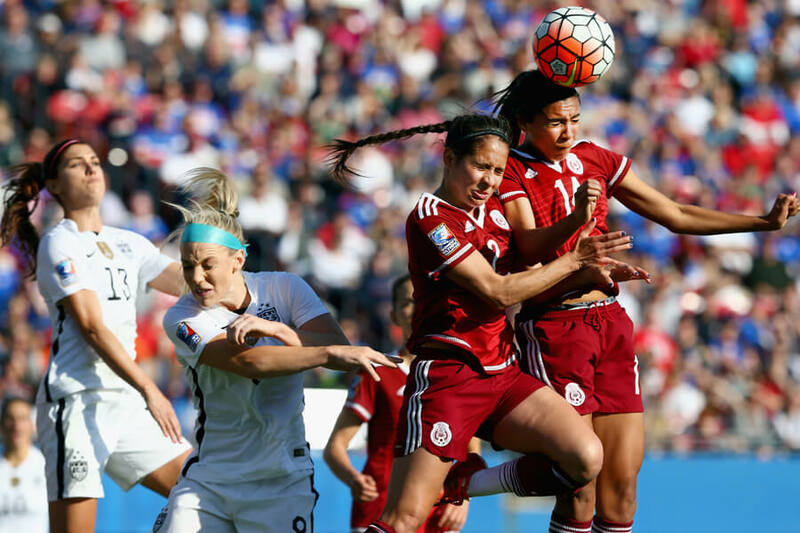 Her teammate is no help, either, pushing her into the ball. 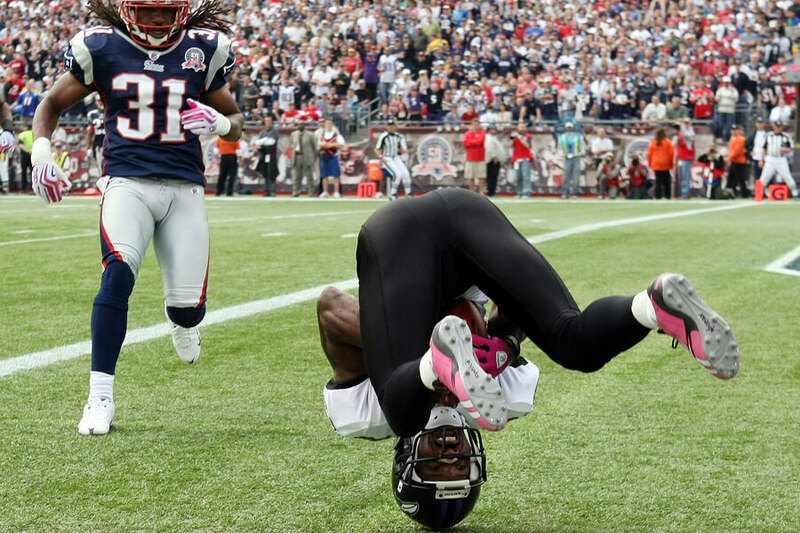 We’re not sure which Baltimore Raven confused his head with his feet catching this ball. It couldn’t have felt good, though. Even if he held on to the ball, the ref probably called it incomplete. Oh well, it’s not like the Ravens have a chance of making it to the Super Bowl as long as Tom Brady plays in the AFC. 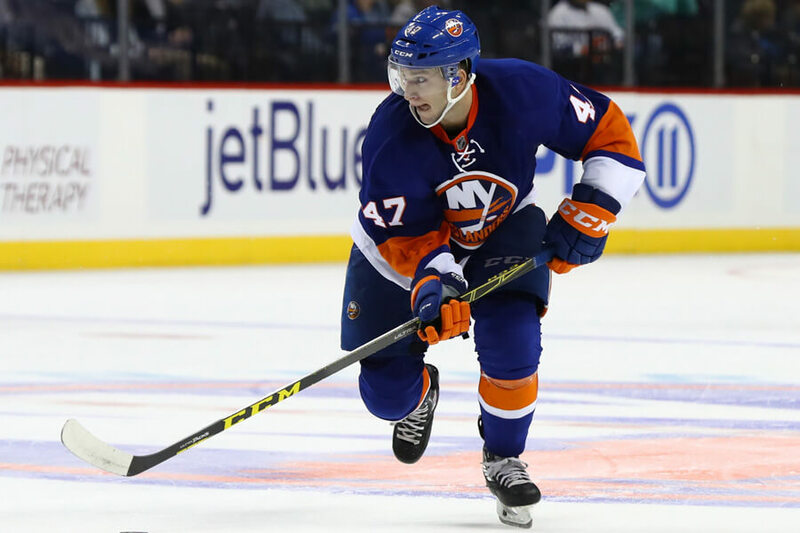 The look on the face of the Islander says it all. He has no idea how he got into a hockey uniform and onto the ice. There is nothing he wants less than to be in the position he is now. His best hope is to pray the puck never comes to him. Then maybe he survives the game and gets to see his children again. Two teammates, one basketball, and a whole lot of sass. Lance Thomas looks like he was about to get the ball when his brother in arms jumped in and stole it from him. Not one to pick a fight he backs off. 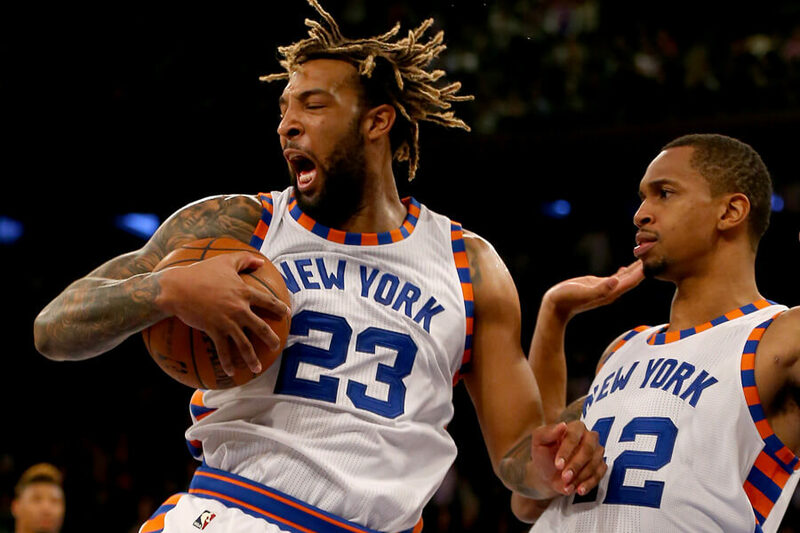 Derrick Williams, asserting his dominance, proceeds to yell and push Thomas out of the way. Very mature. We’ve seen what divers look like mid-jump. It turns out they look just as ridiculous landing in the water. Once “splashdown” happens, they no longer have control of their bodies. Limbs flail wildly as they struggle to gain control. God bless them, every one. This photograph might be the reason Andy Roddick retired. He’s so angry! What happened to him as a child that he decided to take every ounce of his anger out on a fuzzy green ball? Hopefully, Roddick signed up for anger management classes! He could use them. 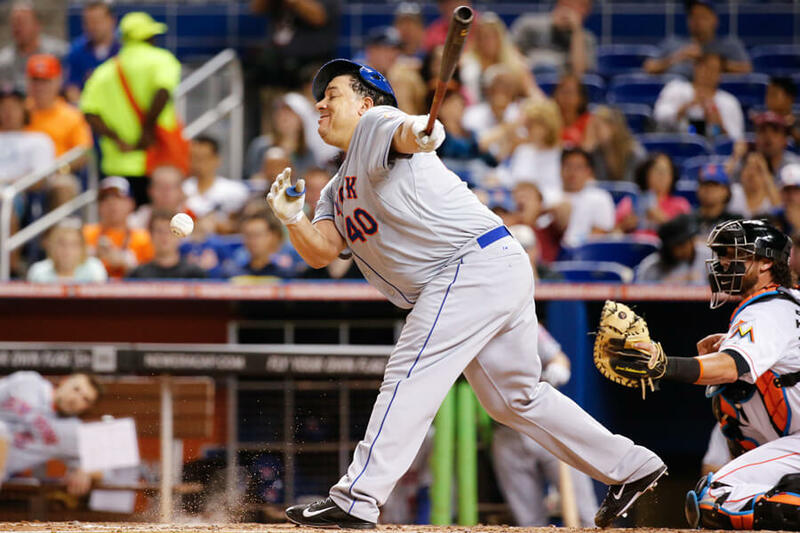 Coming up is Bartolo Colon, a pitcher who needs go to hitting school! Fun fact: Bartolo Colon hit his first career home run at 43-years-old. It was not on this swing. No one knows what the big man was actually swinging at. The ball is at least three feet away from him. A fly must have gotten to the plate before the ball. Not known for his plate prowess, Colon will swing at anything! Proof that using the power of the tongue is always on trend. 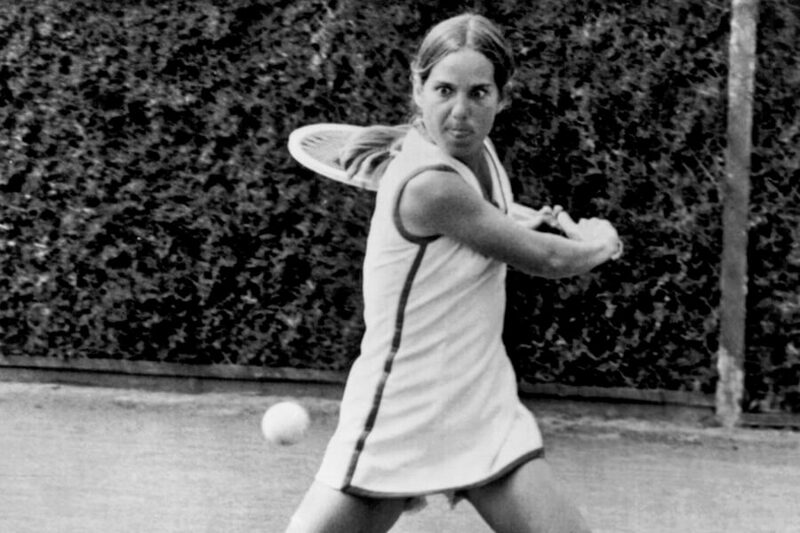 This classic tennis still shows how it can be used to increase focus and swing speed. Wait until you see the follow through! That ball stands no chance of staying on the court. The player coming up next stands no chance of staying on the ice! This hockey player is going to have one sore rear-end tomorrow! 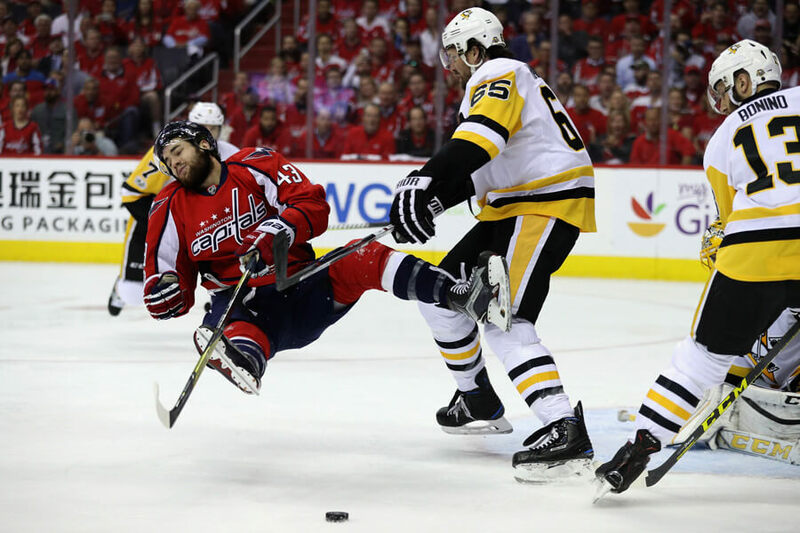 The lesson here is that whatever strategy he’s using to get to the puck first couldn’t be worse. He’s hurting more than his pride. The truth is one of the many yellow jerseys around him probably tripped him. They probably got a penalty after. All’s fair in hockey and war. 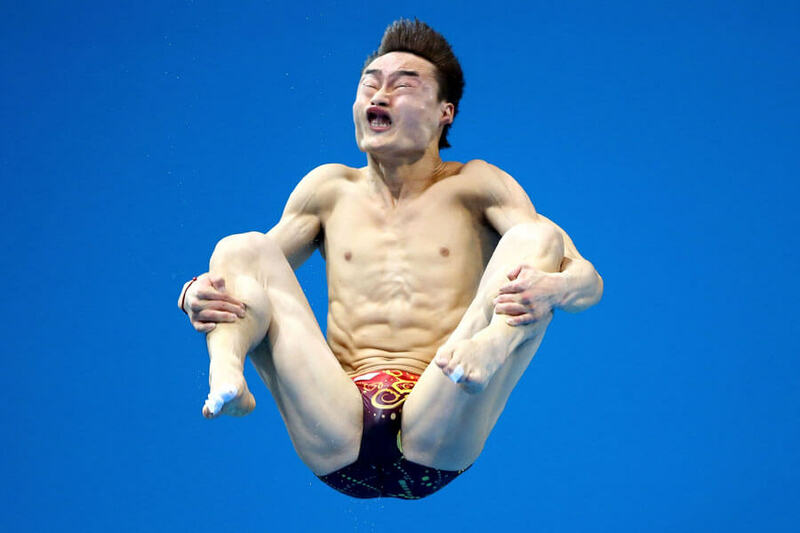 This diver is showing perfect cannonball form. Absolute zero spin has led to full facial distortion. He won’t regret his decision when sees his score. Sometimes you have to live every day like it’s a party. After final review, it’s impossible to deny how ridiculous divers look mid-air, and that’s a fantastic thing!